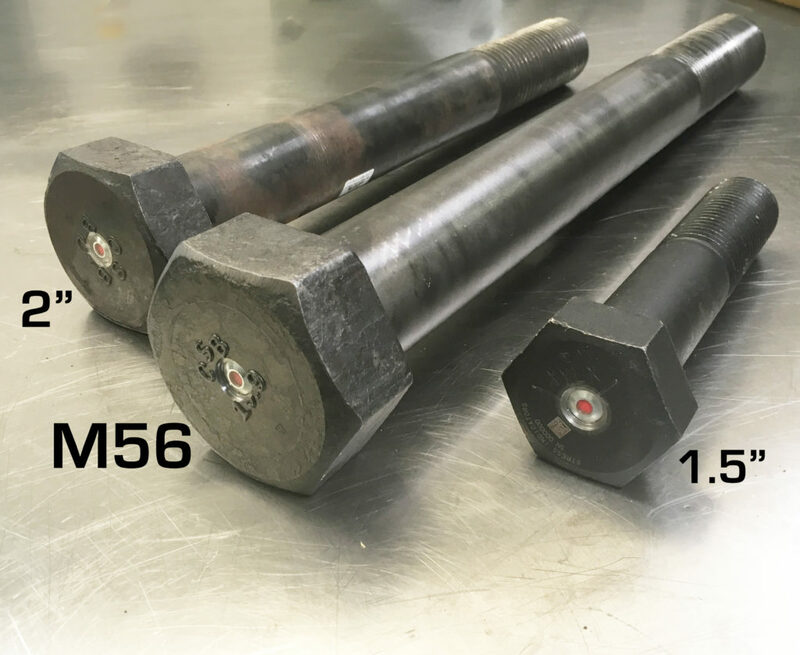 The world’s largest SmartBolt, M56 x 510mm, compared with past record holders. M56 hex head cap screws that will be used to bolt giant slewing ring bearings in mining excavators. A slewing ring bearing is an oscillating or rotating bearing, often mounted horizontally, that supports a heavy but slow-turning load, such as a crane or excavator. 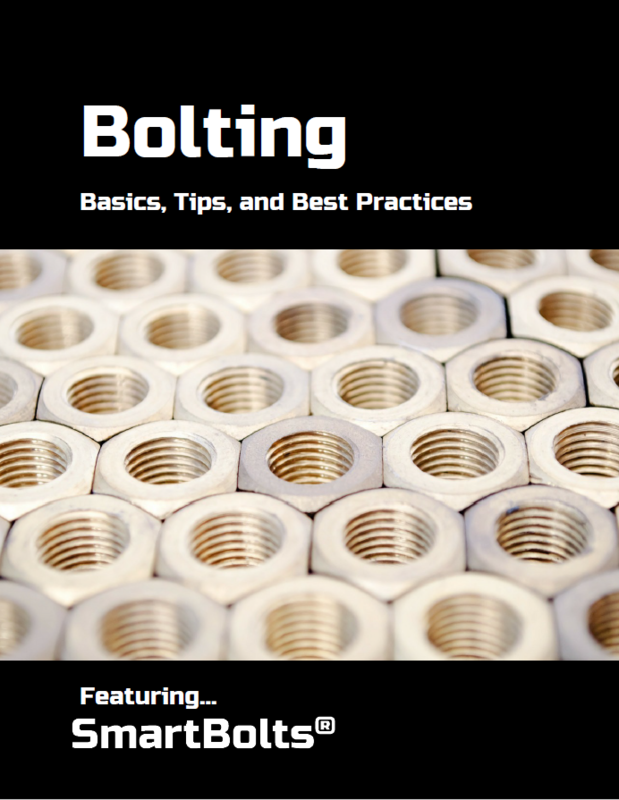 The massive size difference can clearly be seen when comparing the bolt threads. As seen in these photos, the previous record holders are no comparison for the new champion! The new World’s Largest record holder weighs more than 25 lbs., and is over 500mm (20″) long and 56mm (2.2″) in diameter. 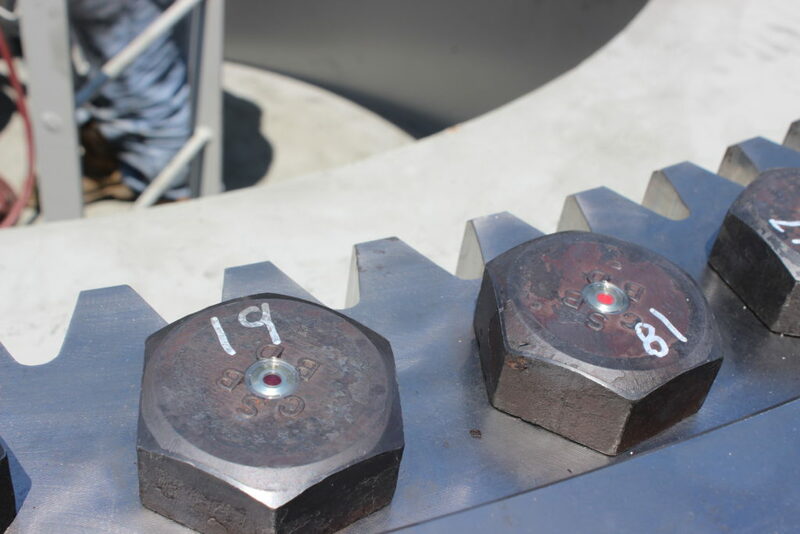 With a Design Tension of nearly 300,000 lbs., these bolts are ready to secure these critical slewing ring bearings! They include our two most popular product upgrades: a Protective Recess and a Contamination Seal. The Protective Recess reduces the risk of impacts to a SmartBolt indicator, while the Contamination Seal adds a clear epoxy surface over the indicator for additional durability. 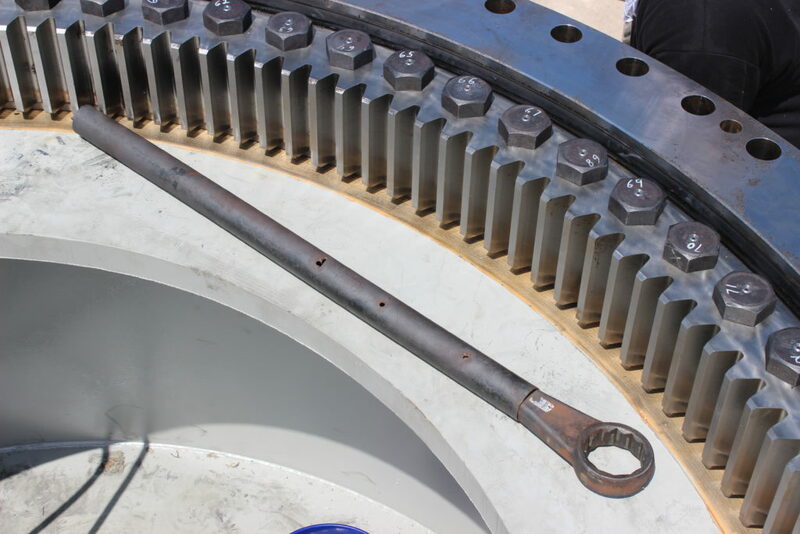 A mining services company that performs bearing replacements offers these SmartBolts to guarantee the bearings they install are properly preloaded, and to ensure ease of maintenance and long service life to their customers. The visual indicator in SmartBolts allows installers to verify that the critical bearing bolts are properly tensioned, and allows inspectors to use a quick visual check to see that residual bolt tension is still present during service. More and more users of heavy equipment that rely on slewing bearings are upgrading their bearing bolts to SmartBolts. 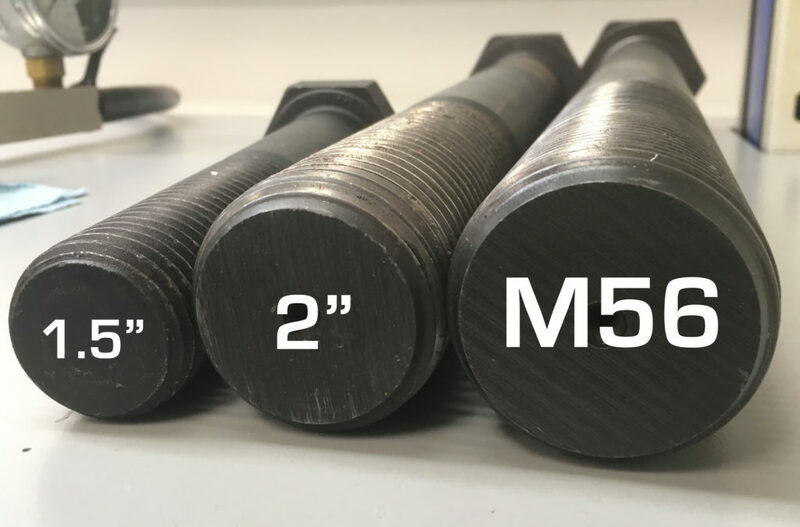 The entire structure depends on these bolts being properly preloaded for safety and operational integrity, and SmartBolts offer a cost-effective visual means to ensure proper tension, especially after months of service. In addition, there can be inherent challenges of achieving a proper and consistent preload with large diameter bolted joints. Read about our project to install SmartBolts in slewing bearings of a shiploader manufactured by Agrico Sales. DTI SmartBolts installed in a 12 foot diameter slewing ring bearing for a custom shiploader. The SmartBolt on the left has been partially tightened, the other is loose. Massive tools are used to generate the hundreds of thousands of pounds of force required to achieve proper preload in the slewing ring. This breaker bar keeps the SmartBolts steady as a pneumatic torque tool tightens from below. Do you have an application that can benefit from SmartBolts? Learn how visual indication of fastener tension is transforming industries around the world – contact us for an information package.